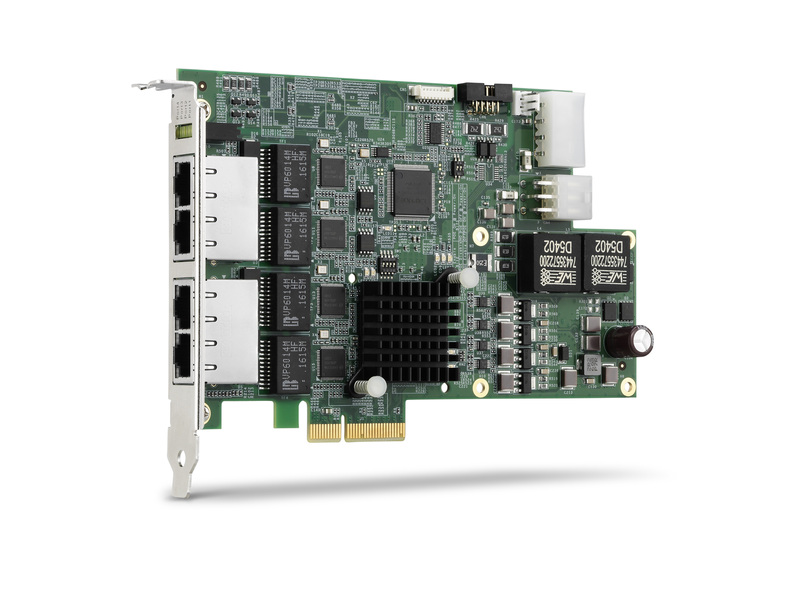 ADLINK's PCIe-GIE72/74 is PCI ExpressR x4 lane, GigE Vision PoE+ (Power Over Ethernet Plus) frame grabber supports 2/4CH independent Gigabit Ethernet ports for multiple GigE Vision device connections with data transfer up to 1 Gb/s per port. PoE+ technology provides up to 25.5W PoE power and automatic detection for stable and reliable connection between PoE+, PoE or non-PoE cameras and frame grabbers, reducing costs, simplifying installation, and easing maintenance burdens with excellent asset protection. 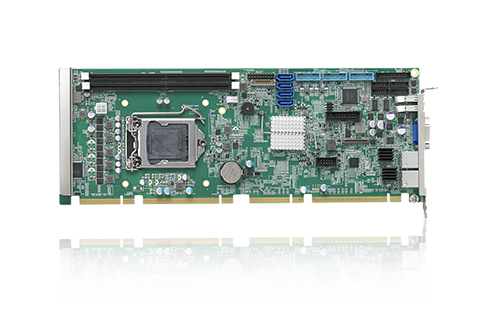 Any number of PCIe-GIE7x series cards can be installed in a single system without occupying any BIOS I/O resources, enabling multi-card single-system non-drop machine vision frame grabs. 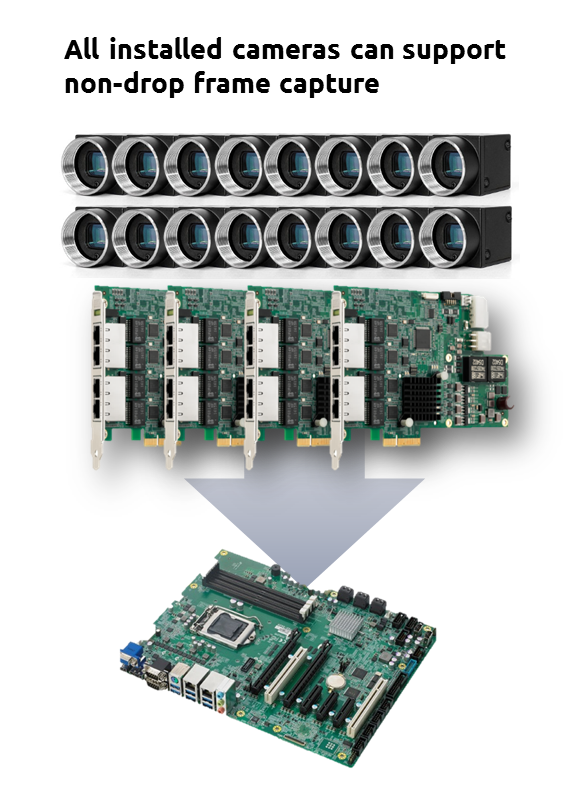 range supports integration with fanless computer for IA applications in harsh environments. 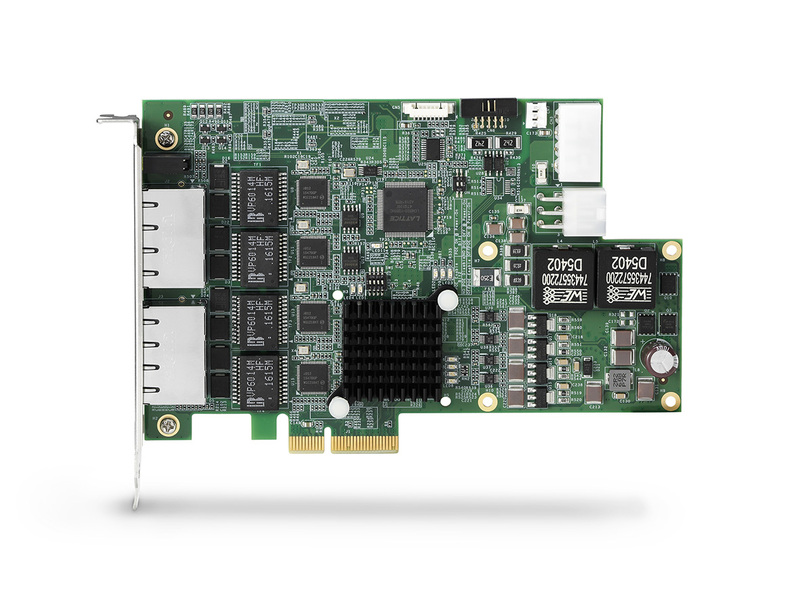 Exclusive comprehensive PoE protection design protects card and camera from overcurrent and overvoltage events. Automated power budget control adjusts PoE port power supply automatically, avoiding equipment damage. 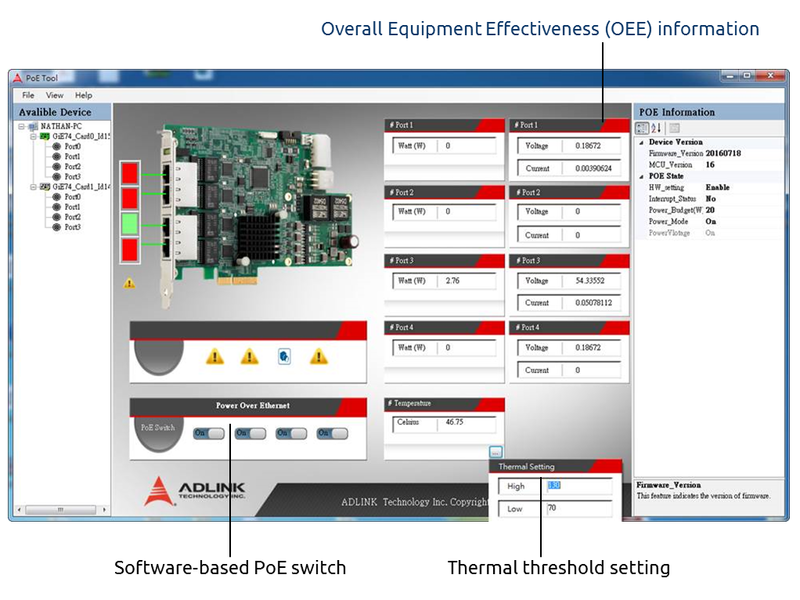 Easy-to-use utility and API provide real-time PoE status monitoring and control, lowering maintenance costs and predicting possible failure in advance, while PoE power priority selection and PoE-based power on/off support more demanding applications.